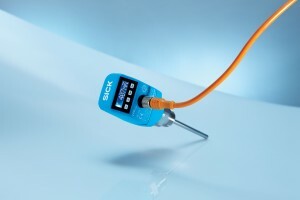 The LFP Cubic Level Sensor from Sick UK is one that uses TDR technology (time domain reflectometry), so can be used in oil- and water-based liquids without calibration. The LFP’s guided radar uses time-of-flight technology to measure electromagnetic pulses. The time difference between the sent pulse and the reflected pulse is used to calculate the level, both as a continuous value (analog output) and a freely positionable switching point (switching output). Due to its flexible probe that can be changed or cut, the LFP Cubic Level Sensor from Sick UK can integrate quickly into any application. The LFP Cubic can work in deposit forming and foaming liquids. The sensor’s intuitive setup uses four buttons and a display to ensure quick and easy adaptation to the application. Remote amplifier, IO-link interface and versions with a process connection in titanium are additional features for versatile use. Click here for products and if you require a quotation, please get in touch !